My Ten Thunders painting project started in August. 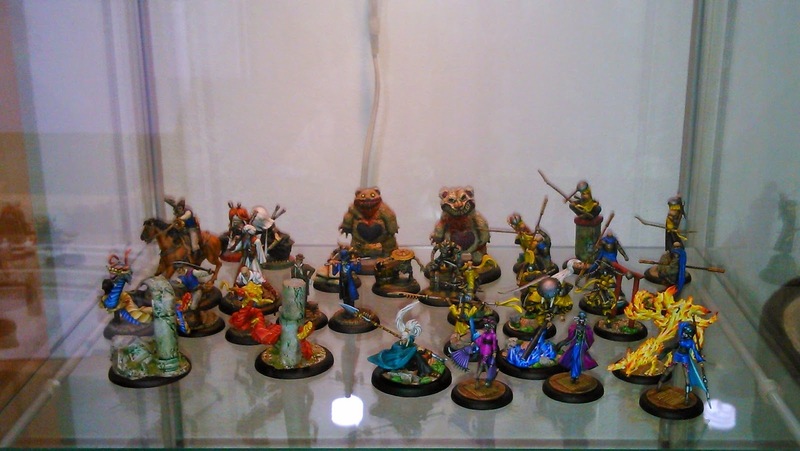 In total I painted 18 miniatures during the last 6 weeks. Not a bad result I think. Working with bright, vivid shades was definitely a great experience. If you look at my earlier works you'll immediately notice that I tend to favor rather dark colors. This project enabled me to stretch my painting skills and get out of my comfort zone in order to do something different. Finding a balance between those bright color schemes and a darker painting style that comes to me naturally was a big challenge but it most definitely was a great experience. In the pic below you can see the whole batch (the Neverborn and Mccabe's crew seen at the back were not part of this project).